The configuration so-called 6GB RAM was one of the most common things in the tech world to be heard in the past few months. As its popularity now has been overshadowed by the latest module of 8GB. It looks convenient for some users who are hard-core game lovers. This highly mechanized and fastest just like a meteor- RAM, can take your journey to incessant flow. 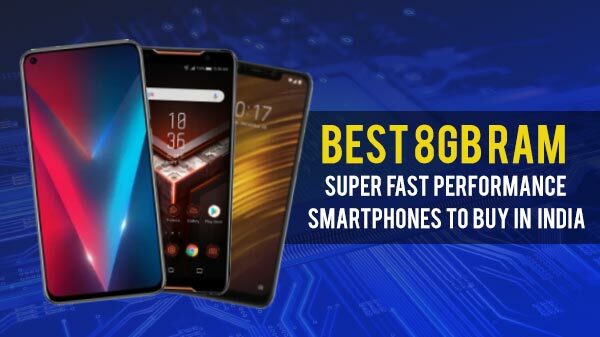 If you're really interested in having a heavenly feeling of operation, take a look on the list below which comprises some of the latest devices that sport such a setup. Such a massive RAM works effectively only after it has great coordination with a spectacular chipset. Such SoC can offer even faster user-friendly experience. You can even use maximum apps at a time by flipping among them without being slowed down, and more. With 8GB RAM, you can comfortably play highly extensive games efficiently. For details related to their availability, you can refer to a couple of portals and can either do advance booking or as a reminder click on the notification button.